TotalCare 360 plan is designed to offer your company complete management, maintenance, and support for your entire network infrastructure at a flat monthly fee. Your computers will be proactively managed to ensure they are running at peak performance, and any IT costs such as access to the Help Desk and preventative maintenance are included. A revolutionary approach to IT management. Rapidsoft Systems' IT support services have been specifically designed for SMEs and corporate businesses and deliver a high-quality and cost-effective solution that can meet all your support needs. Rapidsoft's unique TotalCare 360® managed services plans offer the best solution for organizations that need comprehensive IT support, that either don’t have the time, skill-set or simply just don’t want the burden of managing an IT person, department, or in some situations – an entire IT division. By signing up for a TotalCare 360® plan we make it easier than ever for you to understand, budget, and manage your monthly IT requirements. Aside from many features, each plan includes expert level advisory services, training, consulting, break-fix and everything that a large company’s IT department would offer. Working with us is like having your own virtual IT department. Rapidsoft Systems offers a complete proactive solution that helps manage your entire IT infrastructure 24X7. This cost-effective and high-quality service can be tailored to meet all support requirements. 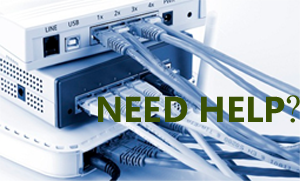 If your company is dependent on its IT infrastructure round the clock you do not want to take the risk of downtime. 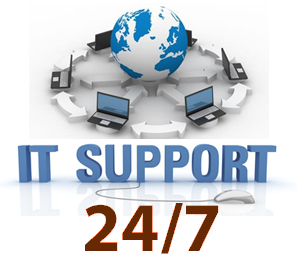 Our IT Support service has been specifically designed to proactively manage the IT infrastructure of a business 24X7. Our service can take care of all this for you. With a dedicated account manager the integral 24X7 remote monitoring enables us to identify and fix many problems before they inconvenience your business. With unlimited support and additional management and audit options it can be designed around your precise support needs saving you time and money. The list provide the technologies that are automatically supported and covered under plans. The company has expertise in many technologies. Our engineers work on many systems and we can support additional systems on case by case basis. Q1: Is this service subject to a 12 month minimum contract? Ans: Correct, this service is subject to 12 months minimum, however an initial review will be carried out after 3 months to assess the level of service and if changes are required, your account manager will make the necessary changes to your contract. Q2: Do I get a dedicated Account Manager? Ans: Yes, for all 3 of our IT Support packages, you are automatically allocated one of our account managers, who will always be available to provide assistance when needed. Q3: Can I add or remove services anytime during my contract? Ans: Regular service review meetings will take place and if there’s an additional service you require or an existing service you no longer require, then we can adjust your contract to suit your needs. Q4: Is On-site support included within the IT Support Manager packages? Ans: No, however we can provide onsite support as an add-on service option. Please contact your account manager to discuss further details about this service. Alternatively check out our add-on special offer. Q5: Can I upgrade my service package to a higher level? Ans: Yes, simply contact your account manager and they will arrange to change your service level as required. Q6: Can I have different items of equipment/software on different SLA’s? Ans: Yes, if you require a higher level of SLA with any particular service(s)/hardware/software just clearly identify what service you require for each item when you sign-up. Q7: I already have an existing contract and want to add other items of hardware. How do I go about this? Ans: Contact your account manager, who will arrange for the additional items to be added to the current contract and necessary price changes to be made. Q8: Does this service include hardware maintenance? Q8: No, however if through remote diagnostics we identify an issue with your hardware, we can arrange for one of our engineers to visit your site to carry out further diagnostics, at an additional cost. Q9: Will you have access to my Network at all times? Ans: Pro-active network management will always continue to run on your network via your server to ensure your network is running smoothly; however we will only take control of your PC once you have confirmed we can do so. Q10: What Operating Systems do you cover? Ans: We cover a range of Operating Systems and software. Please check out our Technical Specification page for full details. Q11: Does this service include monthly reporting? Ans: Yes, but only with the Premium and Pro packages. If you would like to add this option to the Standard package, please contact us and one of our sales representatives will be able to help. Q12 Do you cover 3rd party software support? Ans: Yes, but this service is only included in the ‘Pro Support’ package. However if you would like for this service to managed, please contact your account manager who will be able to add-on this service to your package. Alternatively contact us expressing your interest and one of our sales representatives will call you back to discuss. Q 13:I don’t need all the services included in the Premium and Pro packages, can I add on particular services? Ans: Yes, this can be arranged, please contact us for one of our sales representatives to discuss in further details, or if you already have an existing contract please contact your account manager who will be able to assist. What are the benefits of TotalCare 360®? A TotalCare 360® managed services plan consists of a combination of 4 primary elements: expert-level Strategic Consulting, On-site or on-Cloud IT management services, 24x7 remote Help Desk support, and Cloud-based tools & technologies. The great thing about working with us through TotalCare 360® is that you can purchase select services individually, or you can purchase all of the services that you need in an all-inclusive package. We offer a true one-stop-IT-shop and as we often say amongst ourselves internally – we don’t mind being your “one throat to choke” for everything IT related. Establish predictable IT management costs through a simple, firm-fixed-price agreement, with no term commitment required. Scale up or down in usage based on your employee (user) count and infrastructure. . Leverage cloud-based remote monitoring technologies to provide problem recognition and diagnosis quickly and efficiently. . Receive 24x7 access to our team of professionals, whenever you need it. Guaranteed. .
Profit from the Rapidsoft Continuous Process Improvement (CPI) IT support model based on ITIL® – the technology industry’s leading service framework. . Benefit from almost twenty years of experience facing a wide range of business technology challenges. Gain access to a deep team of professional & certified bench of skilled expertise on almost every business technology on the market today.